This process will not require any additional programming knowledge. Thanks to the interface offered by the rules designer we’ll be able to configure these deployments. For more information about Clarive and the components we use, see our Docs. 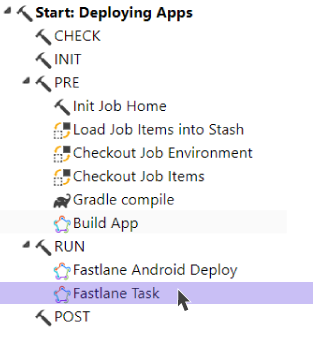 In the case of Android applications, the Gradle plugin is used to compile the application, and the Fastlane plugin to send it to the Play Store automatically. Beforehand, we need to ensure that there is already a first version of the application uploaded so that the deployment can be carried out automatically. We then create a Generic Server from the Resources → Server panel. 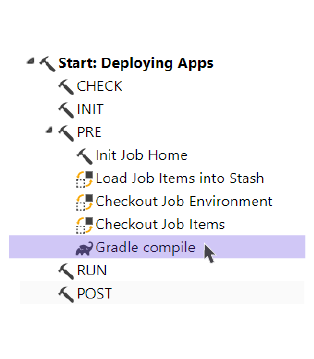 On this server we have the application installed together with Gradle and Fastlane. Once we have configured the server, we need to go to the rules designer and create a new rule with the type Pipeline in the Admin panel. In the set up box that appears, we should select the server that was previously configured, and fill out the remaining fields in order for it to compile correctly. We then fill in the operation form with all the necessary data ready for the upload. We are now ready for the deployment to Play Store. Next we need to add the operations to deploy to Apple Store using the same Pipeline. 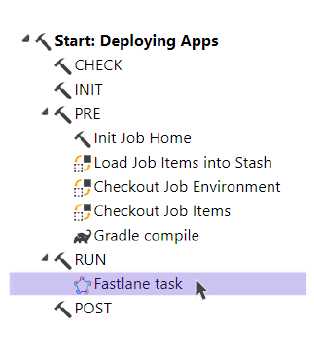 This time we’ll use the Fastlane plugin to compile and send the application to Apple Store automatically. We need to ensure that Xcode is installed together with Fastlane. We now need to create a Generic Server, just like we did previously. On this server we have the application installed together with Fastlane and Xcode. We must also configure the access credentials for our Apple Store account in the Resource iOSCredentials, which we access from the Resources → iOS panel. 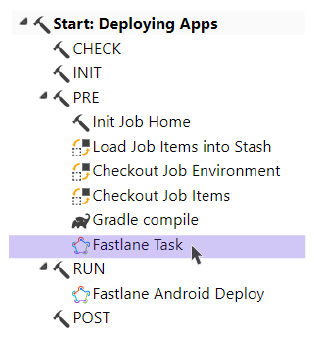 In the same way as we did previously with Android, we’ll compile our application in the PRE phase, with theFastlane task operation. Within the configuration of the operation, we need to select the server, the credentials, and fill in the rest of the necessary fields. We then configure the delivery of the application to the Apple Store, using the same Fastlane task operation in the RUN phase. We need to select the ‘Upload App’ option, and fill in the fields. 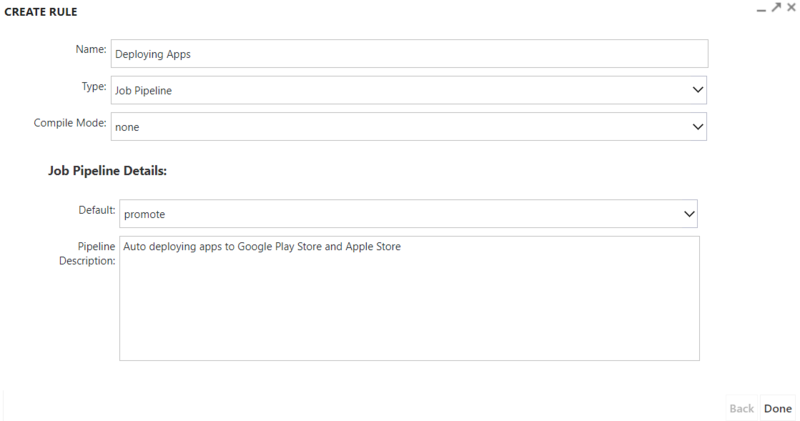 With this Pipeline we have now set up automatic publication both in the Play Store and the Apple Store. If you have any questions please don’t hesitate to contact us at Clarive Community. Get an early start and try Clarive now. Install your 30-day trial here.